Events at the Cave Creek Chapel include wedding ceremonies, elopements cermeonies, memorials, baptisms, and more. Photos and stories are written here. "First of all, I have to say that I am going to be a walking billboard for this venue. My husband, Mathew, and I were married here on November 19th, 2016. Cave Creek Chapel is incredible, and if you are looking for an intimate wedding experience (80 guests or below) this chapel is the place you need to be. 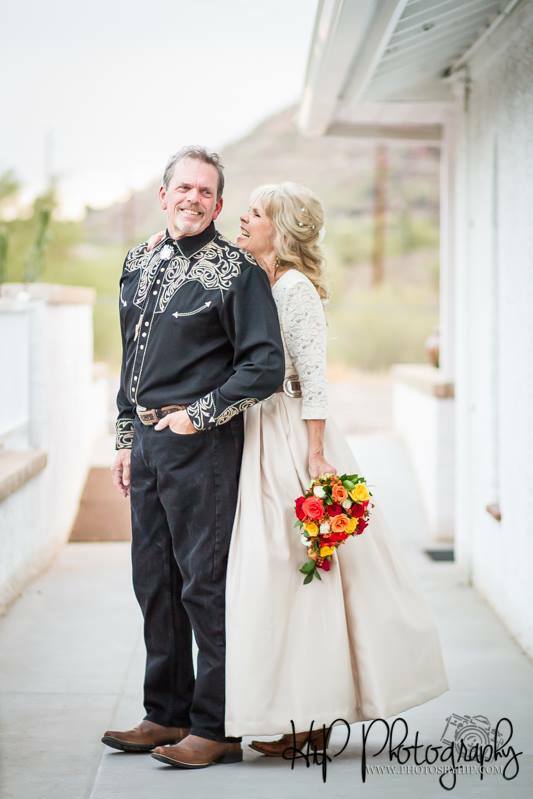 Our guests were floored by how gorgeous the chapel was- many of them have lived in Cave Creek for years and had never seen it before; people were buzzing about what a "hidden gem" it was. This sweet chapel needs more community recognition!" - Allie N.